HAPPY NEW YEAR!!! 2016 WOOOOO!!!!! Okay, with that out of the way, let’s continue reflecting on the best that 2015 had to offer. The awards I’ll be giving out below are my picks for the best shops in various categories–and my pick for the brand of 2015. You may notice that my winners overlap pretty closely with my sponsor and partner list. Yes, this list is biased, but not quite in the way one might think. I didn’t pick my Best of 2015 because they’ve sponsored my blog. It’s the other way around. As my blog has grown and my opportunities have increased, I’ve gotten pickier about my partners. I always want to feel confident in whom I talk about and recommend, so what’s happened is this: my Best of 2015 shops and brand are among my sponsors because I wouldn’t have chosen to work with them in the first place if I didn’t think they were the best. Without any further ado, let’s hand out some more Fiddies! Affiliate links and referral links are marked with an asterisk(*). 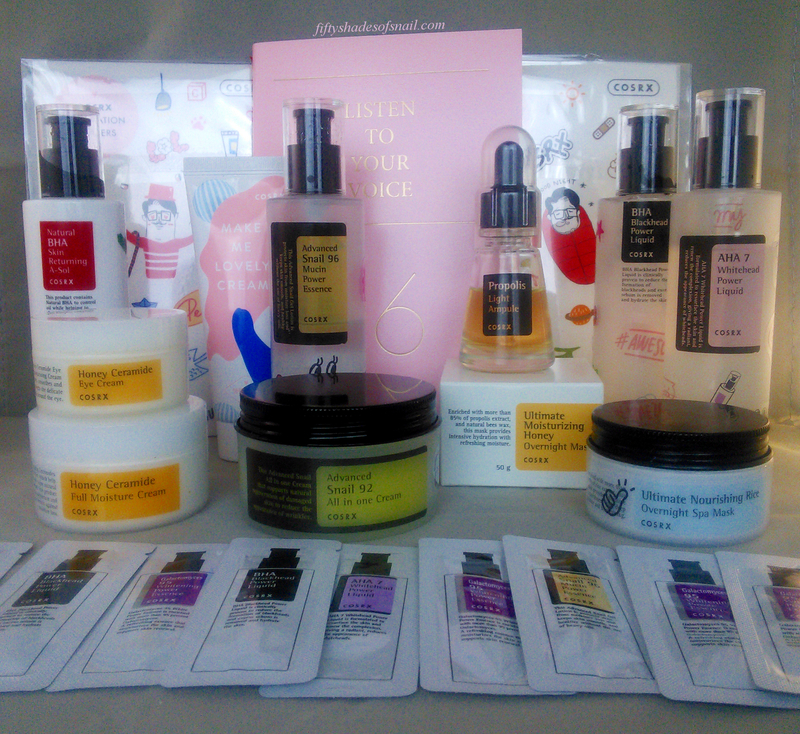 No matter how popular or how commonplace K-beauty becomes outside of Korea, you’ll always get the best selection and the most reasonable prices if you buy from a Korea-based etailer. It just makes sense. And there are plenty of well-stocked and trustworthy Korean etailers to choose from, all with different advantages: some offer significantly lower prices, others are the exclusive sellers of certain brands, and so on. For the first part of 2015, Jolse was just another of those well-stocked and trustworthy etailers. But in late April, the shop took its game to the next level by engaging cheerfully with customers who were charmed by the “Bae” signature on the Jolse shipping labels. In Korea, “Bae” is just another family name; for Jolse’s international customers, it quickly became shorthand for the shop’s friendly, responsive staff and famously generous sample service. I’ve gotten all manner of freebies in my Jolse orders, ranging from Jolse-branded blotting papers to herbal nose pore strips to multiple free sheet masks. It’s the little things that make the difference. 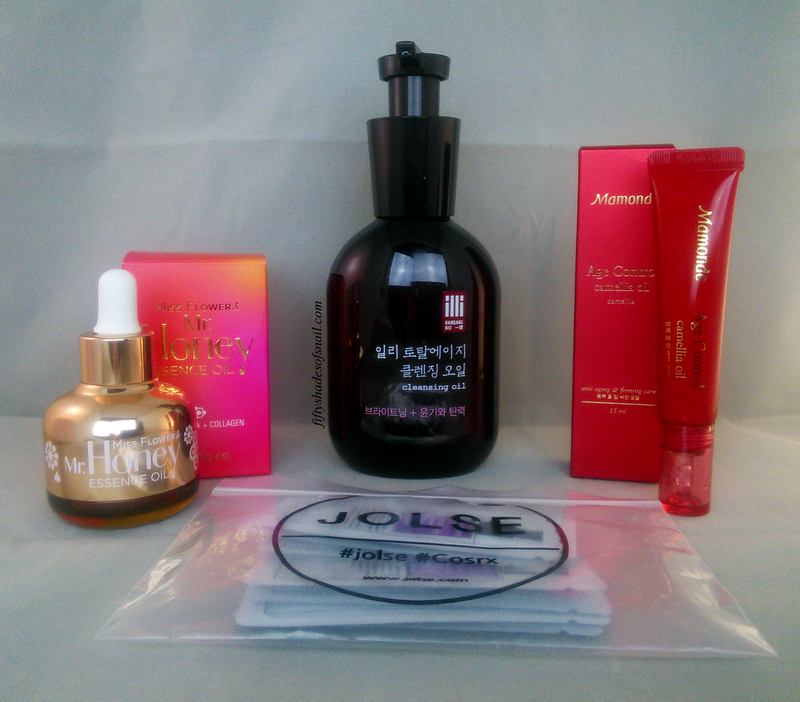 Of course, those aren’t the only reasons I picked Jolse as the best Korea-based shop of 2015. As a customer, I appreciate their wide variety of brands, products, and price points. I’m also a fan of the way they’ve built standard shipping costs into their prices. I prefer this practice to that of the shops that price everything as low as they can, only to hit you with the kimchi slap of shipping costs at checkout. I’m generally too lazy and mentally drained to fuss with spreadsheets, item weights, shipping tiers, and all the calculations and machinations required to game the shipping system to my advantage. I love knowing what I’ll actually be paying as I shop. And even with standard shipping built in to their prices, I’ve never found Jolse’s prices unreasonable. On top of that, in my extensive experience as a Jolse customer, I’ve never had any issues with order processing speeds (unlike some shops that have been known to take upwards of a month to ship out an order). These are just a few of the highlights of my recent Jolse packages. Jolse gives me an affordable, fuss-free, and frequently fun shopping experience. That’s exactly what I look for when I shop from Korea, and that’s why I’ve chosen Jolse as the Best Korean K-Beauty Shop of 2015. There’s a reason I work much more closely with Memebox US* than I do with any other shops, and it has nothing to do with the sacks of sponsorship swag that we bloggers are sometimes assumed to be suffocating under. I give Memebox US the majority of my attention and my product and box curation ideas (and money) because when I look at K-beauty’s future in the US, I think Memebox is the shop that’s closest to doing it right. They definitely know how to sell what I want. I don’t want AB to remain a novelty to non-Asian audiences, and I don’t want it to be seen primarily as a special-occasion splurge. My entire everyday skincare routine is made up of Asian products, as you know, and that’s where I’d love to see K-beauty end up: in medicine cabinets, on bathroom counters, a normal everyday part of life, one that people stick with for the long term. Even my makeup collection is full of Memebox. The strategy of specialness that many other K-beauty retailers have adopted (often executed as insane markups on mundane items or as narrow selections of interesting but often impractical products) isn’t really conducive to that. For long-term normalization, I’d rather see a shop that offers a wide selection of reasonably priced products that customers already know they want, rather than one that tells its customers what to want. That’s why my Best US K-Beauty Shop of 2015 is Memebox and why I’ve been happy to partner more closely with Memebox than I have with anyone else. No shop is perfect and Memebox has made its share of missteps, but I think this etailer is around for the long haul, with a lot to offer to the US-based AB audience. It’s not just about Memebox and the Big Three NYC K-beauty shops (Glow Recipe, Peach & Lily, and Soko Glam) anymore, though. Those early leaders paved the way for a cascade of competitors, some of them keeping the scene fresh by bringing over brands unheard-of outside (and sometimes even within) Asia, others peddling tried-and-true brands first pioneered by others. My Best New AB Shop of 2015, Beautibi*, belongs to the first category. On this red carpet, Beautibi shines brightest of all. Beautibi’s business is focused on beauty boxes and sheet masks, but not just any sheet masks. The owner, Jennifer, curates a gorgeous selection, many of them from Taiwan, with a focus on beautiful design, unusual ingredients, and local flavor. Every mask I’ve tried from Beautibi, whether purchased, sponsored, or gifted, has been a pleasure to use from the moment I touch the packet to the moment I peel off the mask to marvel at my skin. When shopping domestically, we often pay a premium for the elegant presentation, superior customer service, careful curation, and faster shipping that a typical domestic etailer provides. Sometimes a shop’s products don’t justify the extra cost. With Beautibi, they do. A mask haul from Jennifer might be more of a splurge than a mask haul straight from Asia, but her wonderful product choices make this shop my new go-to #treatyoself destination. The bag of confetti, comically tiny sample sheet masks, and overall wild sample service that come with Beautibi orders are the finishing touch. This award’s a little different, because it’s for a commercial venture that actually has no direct connection to the Asian cosmetics industry. Rather, it’s one that was inspired by AB products and started by an AB blogger: my good friend Chel, the blogger behind Holy Snails and now the owner and product formulator behind Holy Snails, the store! I’m embarrassed to admit that I didn’t even know Chel was a skincare DIYer when we first got to chatting. That’s how humble she was about the things she was whipping up for herself. But when you’re amazing at something, it tends to become known. The Shark Sauce brightening serum she concocted for me became an instant favorite that I’ve been using every day since I got my first bottle. Word spread. Others wanted in on the action. Chel hadn’t had any plans to make skincare for anyone but herself and some friends, but she eventually set up a co-op and then the shop (where those SOLD OUT products demonstrate how well-loved her inventions have already become). I would give up every other product in my routine before I gave up Shark Sauce. There are a couple of things that make the Holy Snails handmade skincare products so special. The biggest is the fact that I actually trust Chel to make things I put on my face. Ingredients suppliers don’t ask for credentials before selling customers their vats of sea kelp bioferment and canisters of niacinamide and n-acetylglucosamine. Anyone can buy what they need to make themselves a serum or lotion or any other beauty product. The only barriers to entry in DIY are budget and time. Making things for others to use? That’s a whole different story. Chel’s degree and professional background are in science. In my opinion, that’s critical. There’s a reason cosmetic chemists are called cosmetic chemists. Making good skincare involves a hell of a lot of chemistry. Not only do you have to understand what each ingredient does (on a deeper level than looking up the ingredient description on a supplier website or in the free abstract of a paywalled research article), but also how it interacts with all the other ingredients in the formulation as a whole, how much of an ingredient is ideal, which ingredients are incompatible, how to put the ingredients together, and–maybe most crucially of all–how to put those ingredients together in a way that is safe for others to use on their faces or bodies. Formulating good skincare involves a long and painstaking development process. Recipes must be tweaked and refined to improve not only effectiveness but also other attributes like texture and smell. Products have to be properly preserved and able to withstand lengthy and rigorous stability testing. Quality has to be consistent from bottle to bottle and batch to batch. I love Chel to death, but I wouldn’t use her products if I didn’t trust her to do all that, and to do it all well. She does. She doesn’t release new products on a whim, either. Each of these is a winner because each of them was a labor of love, emphasis on labor. 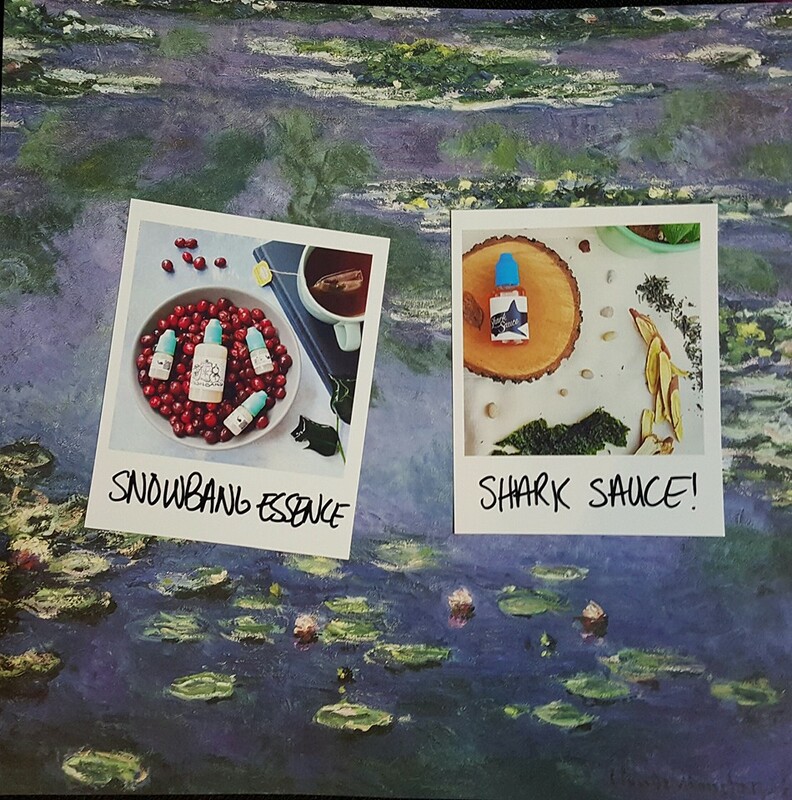 In the months since my first bottle of Shark Sauce arrived in the mail, Chel’s gone from quietly DIYing for herself and friends, to pretty much instantly selling out of products that rival those from big cosmetics brands. She focuses on known concentrations of proven ingredients, with a remarkable absence of filler. She makes AB-inspired skincare, and the amazing thing about her stuff is that it often works better for me than commercial equivalents. For all those reasons, she’s the Best Accidental Entrepreneur of 2015. 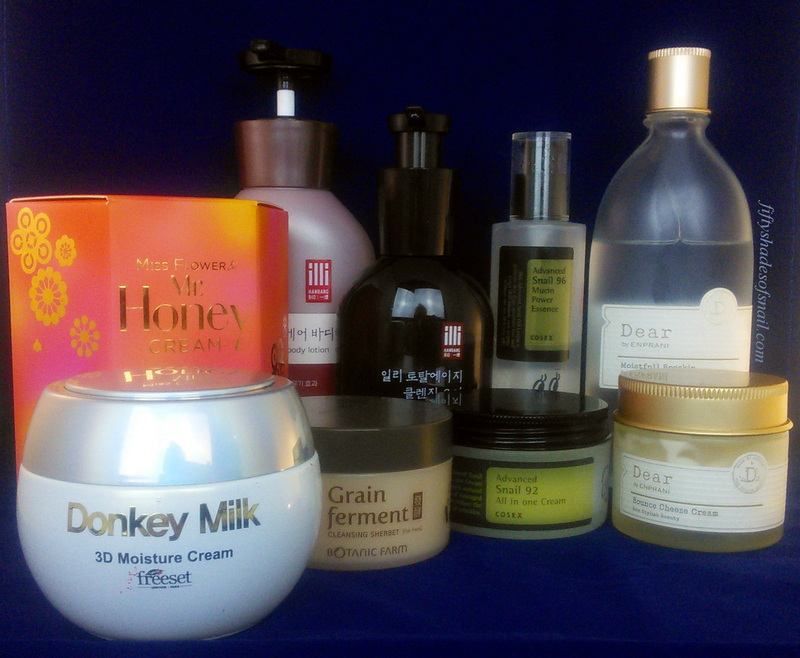 And now we come to the Fiddy that I’m most excited to hand out: K-Beauty Brand of the Year! It goes to a brand that most of you already know I love: COSRX. This is not my entire COSRX collection. This was definitely the year of COSRX. At the beginning of 2015, the small (and still online-only) brand wasn’t particularly well known, either in Korea or beyond. Word had begun to spread about their acid exfoliants, though. And then something seemed to happen within the company. COSRX originally seemed a very basic, bland, clinical brand, but at some point in 2015, the company was apparently taken over by the best kind of wacky cat people. Mr. RX and COSRX stickers infiltrated the AB community’s consciousness. Then came the sleeping packs, followed with a bang by the low-pH cleanser that proved the company listens to its customers and actually cares about their input. By the end of 2015, COSRX had developed a distinctive aesthetic, legions of die-hard fans, and a portfolio of consistently excellent products, all showcasing the brand’s dedication to clean and simple ingredients whose results speak for themselves. I use products from many different brands, but there’s no brand that makes me as comfortable to try something new as COSRX. For me, pretty much everything they make is a win. That’s what makes them the K-Beauty Brand of the Year. And that’s it for the first annual Fiddy’s Choice Awards! Now it’s on to a new year and, I hope, lots of new discoveries, new favorites, and new adventures in K-beauty and skincare. What were your favorite shops and brands in 2015, and what do you hope to accomplish for your skin in 2016? I agree, Cosrx and Jolse are my favs of the past year. Slowly Cosrx started to earn a place in my routine, and now it’s almost everything cosrx in it. Stickers are so fun and the fact they (Cosrx and Jolse) actually listen (or read) their customers, is great. I do think Mr. RX and Mr. Baldy would hang out, but awkwardly. For me, it would RoseRoseShop because of their samples but now, I have a list of shops to try out. Thanks! I can’t wait to place an order from Jolse! And now I want this Shark Sauce magical potion! 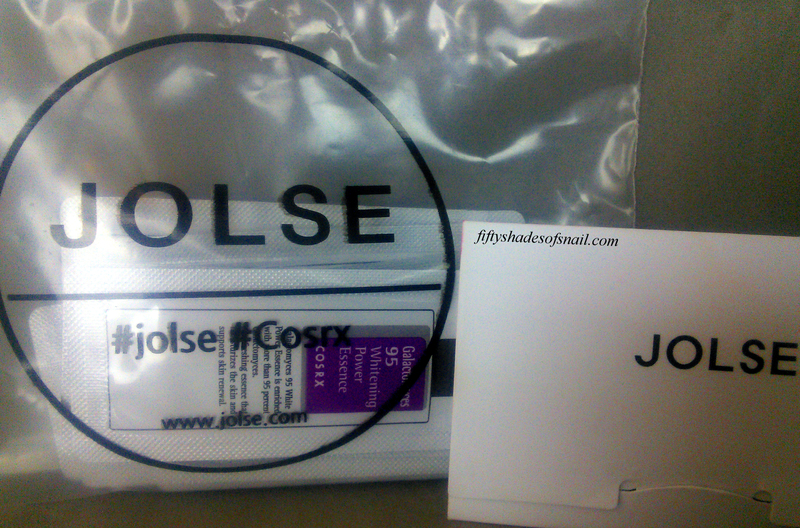 COSRX and Jolse are my all time favorites. Best Accidental Entrepreneur of 2015….great catagory…Chel and her Shark Sauce are the best! Fiddy, you are my go-to AB and K-beauty touchstone. I found your blog thanks to Kerry and Coco’s book, and since you and I have similar skin types, I felt like your advice would help me find my way. I just made my first order from RoseRoseShop (because I forgot you had mentioned Jolse). 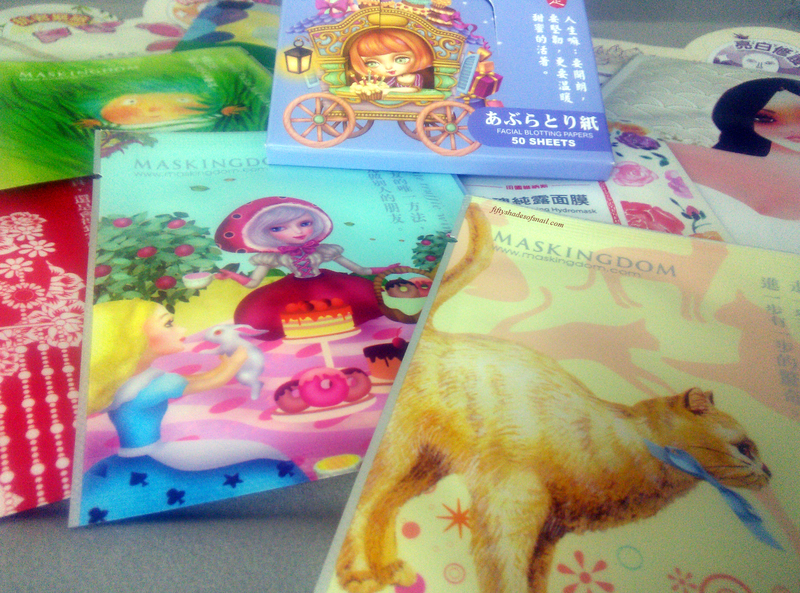 Memebox is awesome, and I should really hide my credit card ‘cuz I keep finding lovely things there. Absolutely wonderful post. I loved the part about Chel, and I’ll definitely be getting that Shark Sauce soon! Bravo, pretty lady. I’m so glad you honored Chel and Beautibi. Beautibi is one of my favorite U.S.-based sites, and I love how she’s focusing on Taiwanese products in particular, and not just sheet masks. I was delighted to see not only the L’Herboflore clay mask and sleeping packs earlier this year but in her coming attractions, she also lists a toner and exfoliating gel from L’Herboflore (which I have and like because I can’t use physical exfoliants), and she has stuff by other great T-Beauty brands like Hanaka, as well as all of her MasKingdom treasures (and I believe she’s the only U.S. seller for this brand). I also love her generous samples and confetti and the mini sheet masks she sent out with a promotion earlier this fall. Plus, on Instagram, she seems so rule and isn’t just pimping products that her site sells but also talks about products she uses or would like to use that she doesn’t sell–this makes me trust her and also like her a lot. As for Chel’s marvels, I’ve only used Shark Sauce thus far, but it’s a mainstay in my routine. I look forward to trying her other products, but I have to slowly introduce things because my skin is so sensitive, and I have a back-up right now in my testing schedule. But I’m amazed by her skill, knowledge, initiative, courage, and generosity, and I can’t wait to give her more of my business (and I’ve sent several others her way). I listened to the latest Snailcast the other night and so agree with you brilliant ladies about how retailers should primarily stick to selling things and not trying to set trends that benefit them financially. Sure, I understand the need to market one’s products, but I like a business that respects its consumers and refrains from force-feeing them things that may or may not even help their skin, and instead listens to its consumers and sometimes even stocks things based on customer input (like Memebox and the Freeset cream–thanks for that!). I also love how Memebox carries such a diverse range of products. I agree with everything you’ve said here and I totally get your meaning despite the typos you pointed out 😄 What Holy Snails product are you eyeing? Force-feeing also is a typo, but I like it and think it’s an apt Freudian slip, so let’s leave it! LOL I know what you mean about the Memebox pink packing confetti…I was taking out recycling the other day and moaning and groaning about how the box just pukes that stuff everywhere. I think they should just get Memebox-branded bubble wrap instead! Help me out here, Fiddy. I share your love of kelpy, seaweedy, sea things but I haven’t found anything I’d really, truly like to get. I stumbled upon a lovely sounding serum though, with almost exclusively kelp extracts and ocean goodness but the shipping for a sample was $18 (plus the usd>cad exchange rate is painful atm)! Are there any similar products? The Lioele Seaweed Gel seems to be my best bet right now. I just want sea grass on my face. Thanks for the reply! It was the Marine Serum by Sabbatical Beauty. I’ve never heard of the brand but stumbled upon it on Instagram and was intrigued, but immediately turned off by that shipping rate. I’ve been wanting to try Shark Sauce actually, but the samples are sold out T_T. I’d love to diy a serum but I’m unsure of my capabilities. That is pretty crazy. And I totally feel you about being unsure of your own capabilities! DIY definitely isn’t for everyone, as there are so many complexities to cosmetics formulation–anybody can call themselves a formulator and try to put their spin on a recipe, but that doesn’t necessarily mean it’ll work. I don’t think I’d dare attempt it for myself. First things first, I adore your blog. It’s really unpretentious and is honestly inspiring me to finally take the plunge and do what anyone who knows me has been telling me I should do since the beginning of time – have my own blog/vlog! It will happen eventually, but in the world of perfectionists everything takes its time. Being a perfectionist is also one of the reasons why I love your blog so much: nothing is random, everything seems to be carefully curated and skilfully reviewed. Congrats, you are amazing! I have a small question about Holy Snails, though. I’ve read the ingredients, and can find Parabens in both products. I have been avoiding anything with parabens due to its bad reputation in the world of skincare and overall healthy living, but seeing you recommending a product which contains said preservatives is making me re-think my decision. Also, the amazing reviews are so irresistible… So, what is your view on parabens? Hi and thank you so much for your kind words! Your question about parabens is a good one. From the reading that I’ve done on the topic, it appears to me that parabens’ bad reputation is undeserved; the consensus of the FDA and the National Institute of Health is that there is no conclusive evidence that parabens at the concentrations used in cosmetics are harmful. As with many things, the dose makes the poison, and they are used in very small amounts in cosmetics. Thank you! 🙂 The link was very informative and I definitely agree with you when it comes to badly preserved cosmetics. Working in the beauty industry can sometimes force you to follow a certain hype, especially when your customers keep asking you specifically for products without a certain component. I’m very certain Chel knows a lot more about skincare than some hippy mom who whips up a bunch of oils and butters together in her kitchen hoping it resembles a cream and proceeds to sell in on Etsy (my biggest natural skincare pet peeve EVER, please limit yourself to scented candles and the like), hence me questioning everything that I was made to believe until now. This was eye-opening to say the least! I figured I’d put this here – I’ve been seeing the COSRX Nasty Name Serum with labels saying “Whitening Serum” – did they change it, do you know? On another note, wow, I’m so impressed with Jolse. They have an ebay shop I’ve used – I get most of my stuff on ebay with no bad results yet – but their shop! I bought two things in their Random Box offer plus three more in the sale and came away with a HUGE amount of wonderful things. Uber generous. Including a full Scinic Honey AIO, which you had me wishing I’d bought, socks, flannel, mascara, fistfuls of samples… You’re right, they are the shop to go to, especially as I ordered on Dec 30th, everything shipped next day and it arrived here in England on the 4th. All-stars! That was extremely useful to me, I was looking for just the answers you happen to be providing in the Cosrx section 😀 Lovely, thank you! Hi. New subbie here. Wish I found your site sooner. I don’t exclusively use AB skincare but incorporate it with my Western products. Are there any AB ingredients that should not be mixed with American products? I’ve been reading your posts for the last 2-3 months and I’m so glad I found you. We both share a love of all things snail and Cosrx. Just wanted to say keep up the amazing posts since I can buy only a few things on my limited budget right now. I’ll jut have to try stuff vicariously through you. 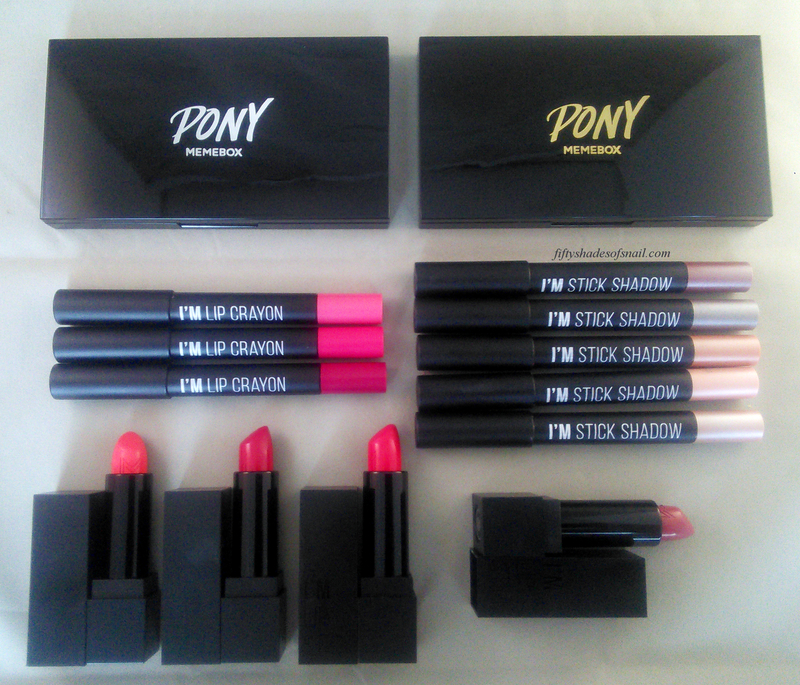 Regarding the post…while I love memebox for their fast shipping they just do not carry the sheer variety of stuff Jolse does. I bought a bunch of stuff at jolse’s new year sale at ridiculously discounted prices and free shipping and a ton of samples. I just wish the shipping was faster…took about 20 days. I guess you can’t have everything can you. I have never heard of Beautibi. Now I have to check them out! Great post! Thanks for all of the recommendations! Can I also ask what those cute little snail containers are in the original photo? They’re the mini size of Ladykin Affinitic Snail Cream–I got the full size from Beautibi and she threw the two little guys in. I decant various hand creams into them and carry them around!